I’m never going to be lost for blog posts this month now I’ve realised I can just bring a new purple thing some publicity whenever lost for other thoughts. PurpleSearch even has a clear mission statement “PurpleSearch enables simultaneous search in the most important scientific and scholarly databases”. I’m so jealous I never thought to force encourage my library to name their search interface this way. I tried and failed in getting our current search interface even coloured this way, but someone has thought bigger than me, and been more successful. I’m currently involved in a review of our Scholarly Search options. Perhaps if I choose the right one I can introduce VioletSearch to MPOW? 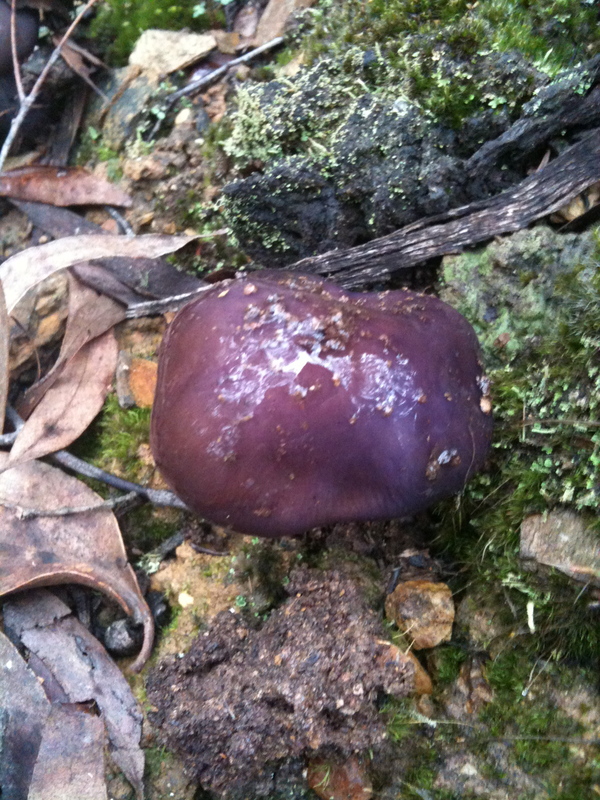 I have always believed the world is improved by a tinge of purple (EVERYWHERE), but even I was surprised to see this purple toadstool (more vivid in the sunlight but I didn’t have a camera then) in the middle of the Australian bush!